How do you pronounce "Köchy"? It's not too difficult: KER-shee is very close. The o with the two dots (ö) is called o-umlaut and is short for oe. Until about the 19th century the e was written or printed on top of the o. Over time, the e turned into two dots. So, the dots are not an accent as in French. If you leave out the dots, you leave out a whole letter. If you can't find the section in your software manual about how to generate ö you ought to type oe. Most Köchys live within 70 km of Brunswick! The family name Köchy is derived from the place name Köchingen, a village near Braunschweig (English: Brunswick) in Northwest Germany. The shortening of -ingen to -i or -y is typical of the local Eastfalian dialect. Köchingen is an old settlement. It belongs to the category of settlements ending in -ingen from the migration of nations period (300-500 AD). In documents Köchingen appears first in 1170 as Cogginge or Choginge, later as Cochinghe (1240) and Kochinghe (1318) meaning the site of the first settler Kocho and his kin. A later dialect form of the village name was Köchich. 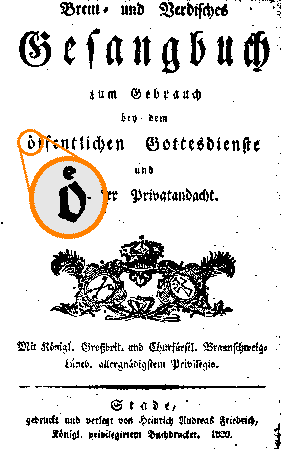 A spelling variant, Köchi is found in Börßum in the 17th century [genealogy.net]. At least one family who emigrated from Schlewecke near Bockenem (Lower Saxony) to the United States in 1851 changed their name to "Köchig" en route. This variant of the name is also mentioned in Zoder (1968). As the family name Köchy is derived from the village name Köchingen, the coat of arms of that village is also suitable as a family coat of arms. Köchingen got its coat of arms in 1983. It was designed by Dr. Arnold Rabbow and shows a blue flax (linnen) flower within a blue horseshoe with its opening at the top on a golden (yellow) background. Flax flower and horsehoe symbolize the importance of agriculture, especially flax cultivation, for the village until the 1950s. The horseshoe also symbolizes Köchingen's importance as a centre of horse breeding and equestrian sports. In addition, it is a token of luck and may show the hope for a blessed future. The colours blue-yellow have a long tradition in the Brunswick area. They were the colours of the Dukedom of Brunswick-Luneburg, the Sovereign State of Brunswick, and the District of Brunswick to all of which Köchingen belonged since it was first mentioned in the 12th century.